My interest in cooking was originally influenced by my mother who was a fabulous cook. Since then, I have lived in Germany and the United States, for a total of 12 years of cooking overseas. Cooking quickly became a tool of communication, and allowed me to make many friends. They say, where there’s good food, good people come together. My specialties are sekku (seasonal festival cooking), nimono (boiled and seasoned foods), and Japanese-style confectionery. In addition to the delicate and divine flavor of Washoku, the traditional methods of cooking Japanese food also inspire me. This combination is what makes Japanese cuisine such a wonderful food experience for all. 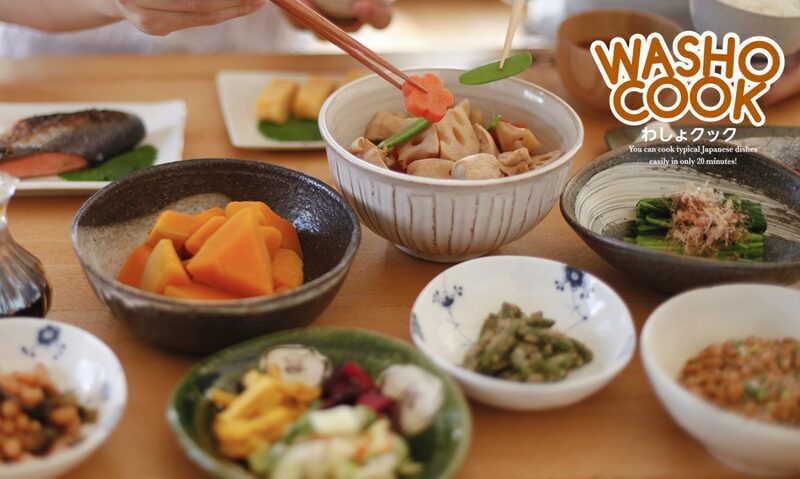 I look forward to sharing the delicious taste and culture of Washoku with my foreign guests. Spent university life in the UK. I experienced cooking with foreign students while living in an accommodation of the university. I wish to cook with many foreign people who are interested in Japanese food. Please join our lessons. I have been living in Zama city almost middle of the Kanagawa prefecture for about 30 years after my marriage. I have just started “Himawari Kitchen”. Himawari means Sunflower and is the symbol flower of Zama city. I was born and had been brought up in Kamakura. I liked the Japanese home cooking made by my grandmother at that time. Time flies, my grandchildren say “Grandma! Yammy!” and make me happy. Recently Japanese cuisine has been in the spotlight in the world. In Zama city there are many Americans working in the Zama Camp and their family and many foreigners from other countries, I wish I can enjoy cooking Japanese home cuisine with many of them at “Himari Kitchen” and sharing to be familiar with each other! I am a native Tokyoite who learned the basics of cooking from my grandmother and mother. I love food and cooking for my family and friends. I am passionate about fostering cross-cultural exchange through the shared experience of home cooking. I am an avid traveler and have visited more than 40 cities, including my participation of a homestay program in England when I was a college student. I have spent over ten years in the food industry as a manager of marketing and importing activities for a major Japanese producer of processed seafood products. I frequently visit my company’s overseas food processing plants, including more than 40 visits to Thailand on business. I continue to hone my culinary skills as I frequently participate in cooking and baking classes. I also teach baking. Let me help you immerse yourself in Japanese home-cooking and give yourself a little “omiyage” of the ability to replicate delectable comforting Japanese dishes in your own kitchen back home. Let’s enjoy cooking together! Since childhood, I was touched different culture and learning English conversation by my parents who hope to want you to play an active part by an international society. When I was in high school, I went to short-term studying abroad in Finland. It is great memory that is when I cooked “TAKOYAKI” and “SUSHI” for my host family and Finish friends,and their reaction was very fun. After that, I entered University in US,and I have experienced international education. About my cooking, I have studied Japanese home cook by my mother and aunt who are cooking very well. Also, I am really studying table coodinate and table crockery. Therefore, I hope that to enjoy seeing and eating beautiful Japanese home style cooking for people from aboard. I was born and raised in the Tohoku region, abundant with nature from the sea and mountains. And I learned cooking skills from my mother and the characteristics of Japanese culture that form the spirit of “WA” from my Great-grandmother and grandmother, who were masters of the Japanese tea ceremony and flowers when I was a child. I used to stay in America and China, where I realized Japanese cuisine is healthy and well balanced. After returning to Japan, I have worked at some foreign companies and exchanged ideas about culture and food with people from abroad. Now I value the seasonal Japanese ingredients and recipes. I’m looking forward to sharing with you how easy it is to cook genuine Japanese home-style dishes.